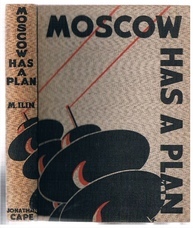 Moscow has a Plan. A Soviet Primer. Translated from the Russian of M Kermode. In distinctive rough-woven cloth, 218pp.. 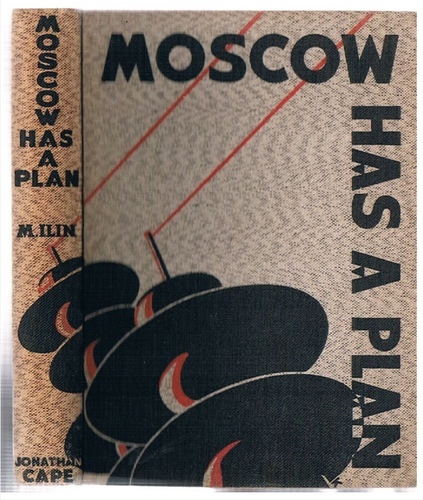 Striking two-tone design to upper cover and b/w illustrations inside. Publisher's list bound in back (all on Russia). ; Ilia Marshak (1896-1953), elder brother of the celebrated Russian children's author Samuil, wrote under the pseudonym Mikhail Ilin and specialized in presenting complex scientific topics to a young audience. 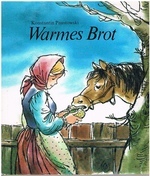 The present volume with covers and illustrations superbly illustrated by William Kermode in the 'Soviet' style. Kermode was particularly acclaimed for his linocuts, an unusual medium at the time. 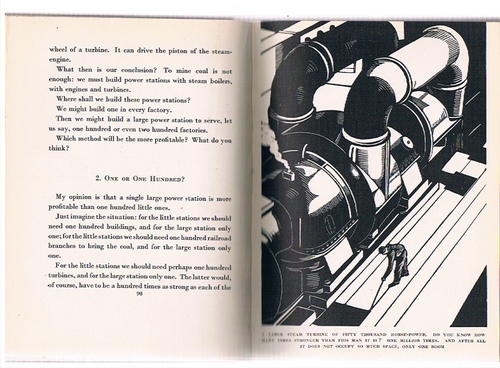 His designs show influence from Russian book-illustration of the 1930s.